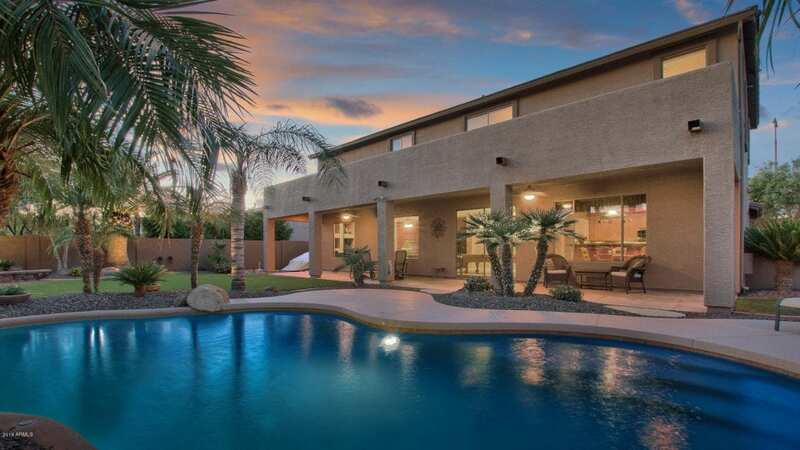 Gorgeous Chandler Home with a Pool! 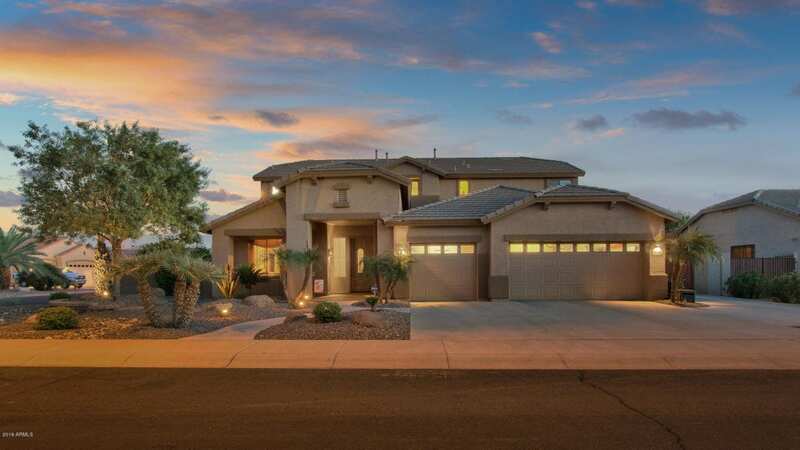 This beautiful & meticulously maintained home for sale in sunny Chandler AZ is located at 2711 E Desert Inn Dr.
2 story Home with 4 bedrooms + Loft and 3 bathrooms. Great curb appeal on this private corner lot that faces open common area space. 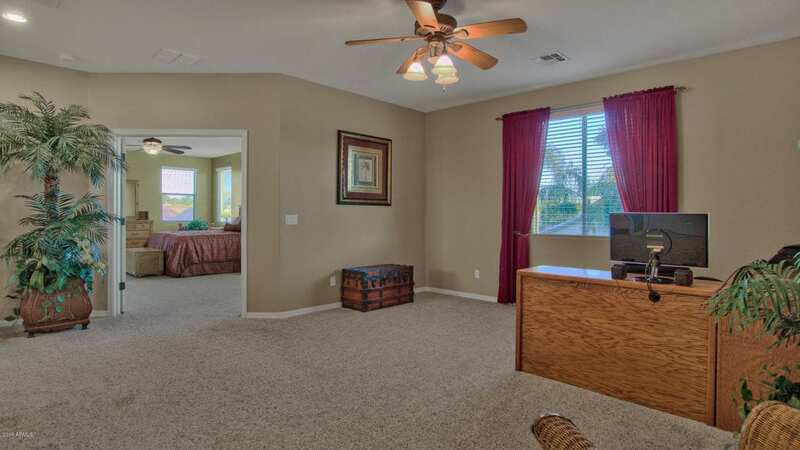 Over sized living spaces downstairs is ideal for large or intimate gatherings. Stylish kitchen includes granite countertops, stainless steel appliances, island, pantry, and desk area. Natural lighting makes this already open space feel even larger. One full bedroom and bath located downstairs with 3 additional rooms and a loft upstairs. Master Suite is 16’X26′ – WOW! 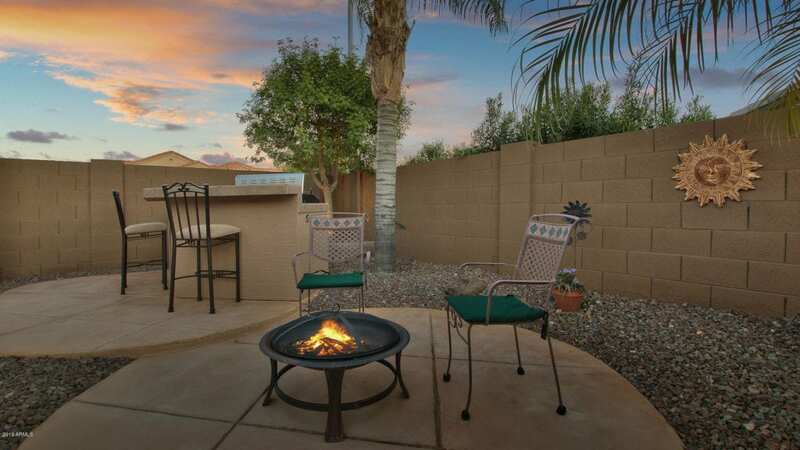 Enjoy the well designed backyard and all that Arizona outdoor living has to offer with the full length covered patio, swimming pool, built in barbecue, and lots of grass. Storage shed is included and be sure to see the storage area for the boat! 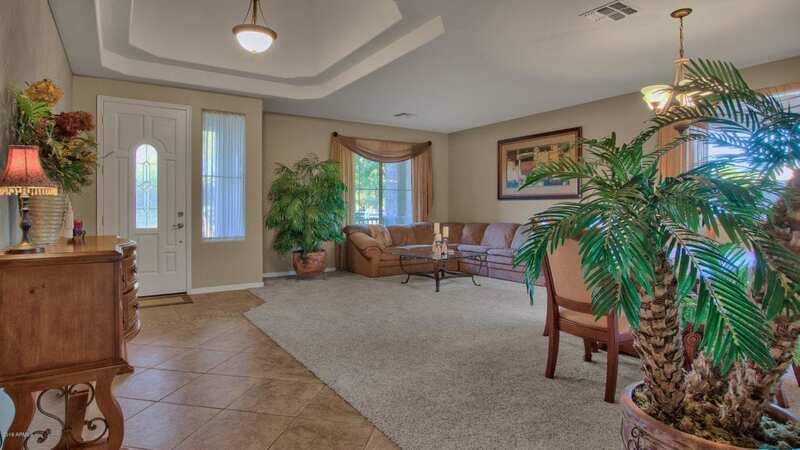 Large formal living & dining space upon entry. 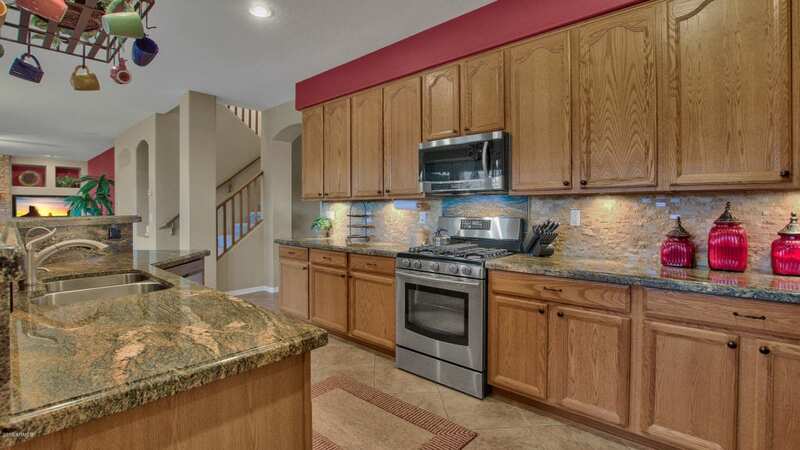 Kitchen with ample storage, granite counters & stainless steel appliances. 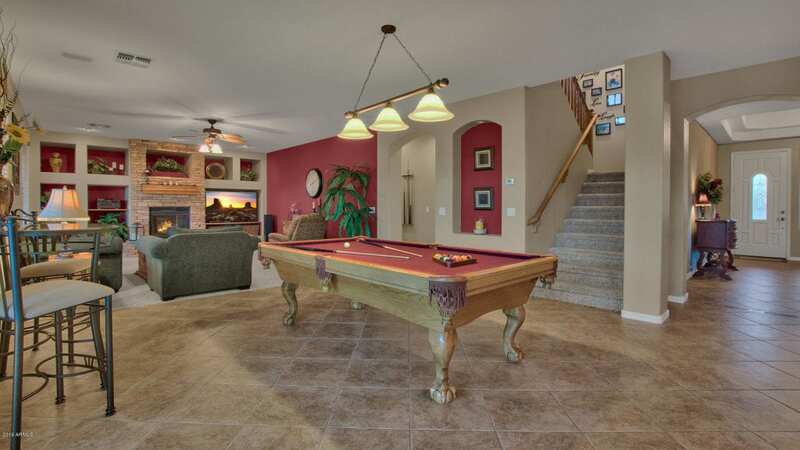 Great open space between kitchen & family room, perfect for dinette set or pool table! 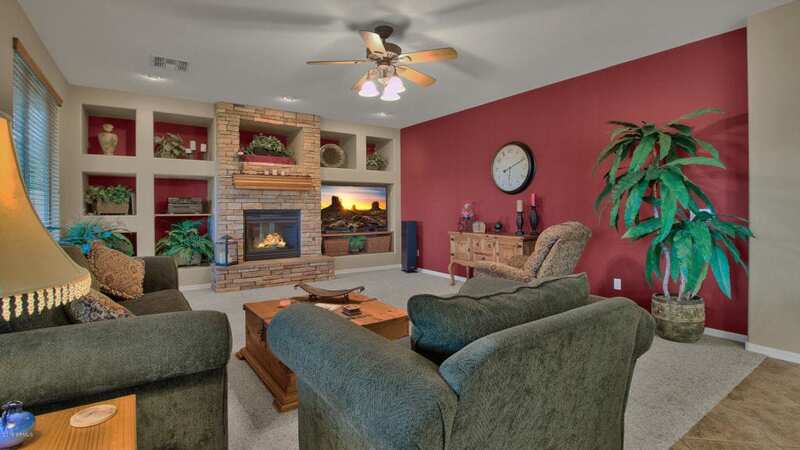 Family room with stone front fireplace and decorative niches. Upstairs loft for entertaining or working. 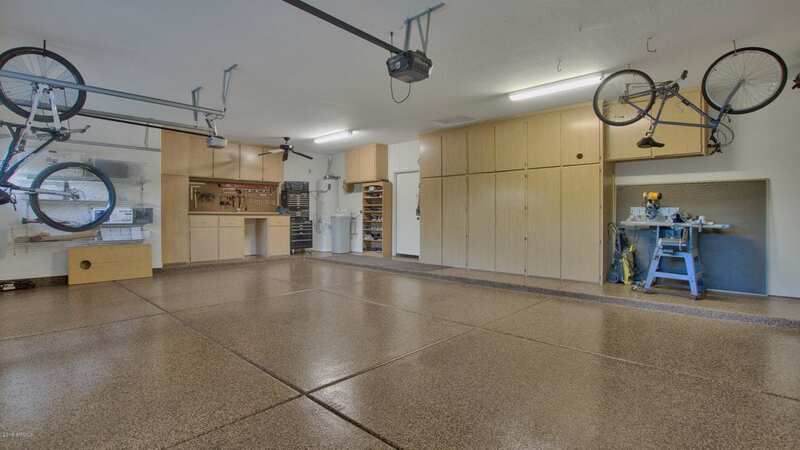 Over sized 3 car garage, meticulously maintained with epoxy floors, and built in storage! The backyard is an oasis in the desert. 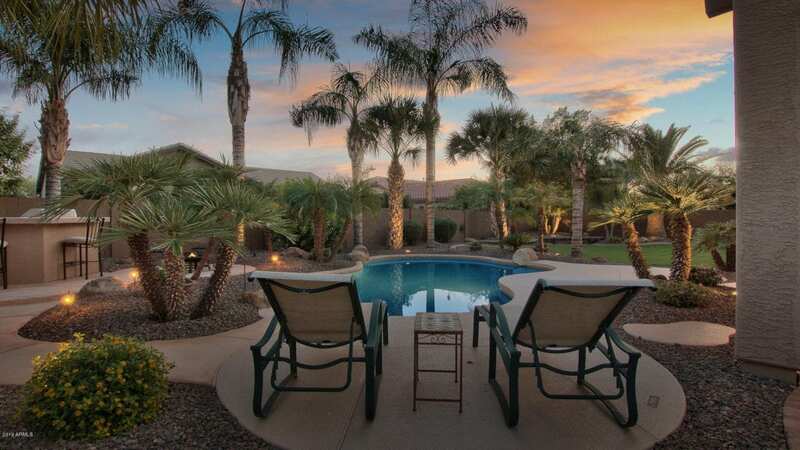 Free form pool and full length covered patio, perfect for enjoying the beautiful AZ weather! Private corner lot. Built in BBQ and seating area. Situated on an oversized lot, with privacy from neighbors and across from a greenbelt. 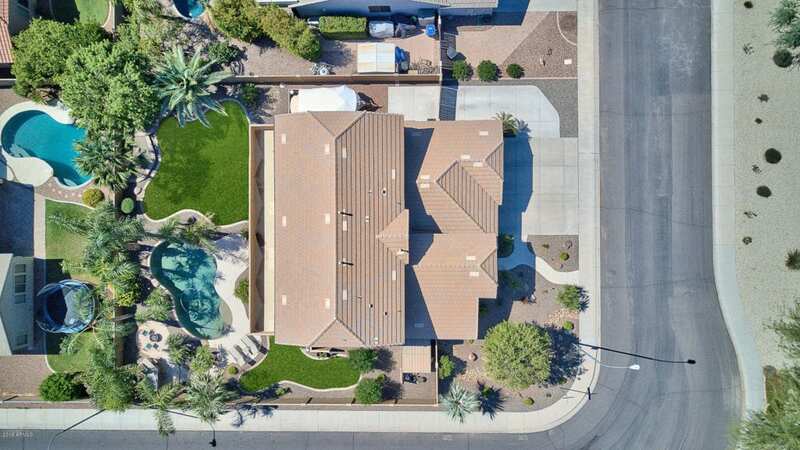 For additional information on this home or to schedule your private showing, contact us today at (480) 221-3034.